Thank you and welcome back, I am here to share my card with you. 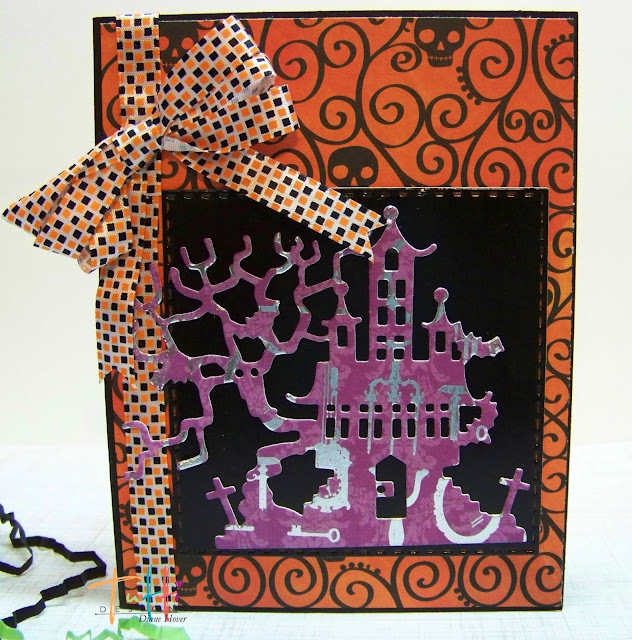 I cut out the Happy Halloween die 4 times and used liquid glue to stack together, I did color it once dried using Wink of Stella glitter pen. 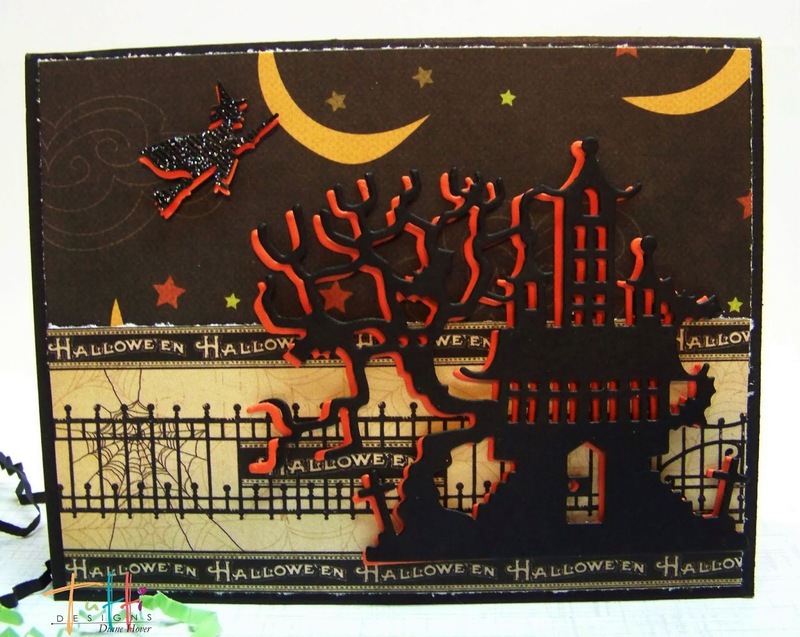 Supplies: Tutti Designs Dies-Nesting Stitched Scallop Ovals, Nesting Dotted Circles, Happy Halloween, Foam cat, embellishments, Wink of Stella-Black, Liquid Glue, Glue Dots, Craft Foam. 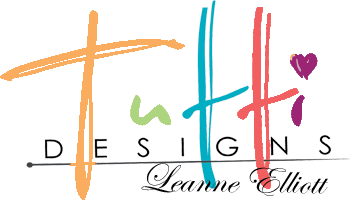 using two very fun Tutti Designs dies with you. for a shadow underneath and a fun print paper. The little witch is a punch. shadow' effect by cutting from black and then again from orange card stocks. And here is that little witch punch again! giving it a totally different look from the two cards above. 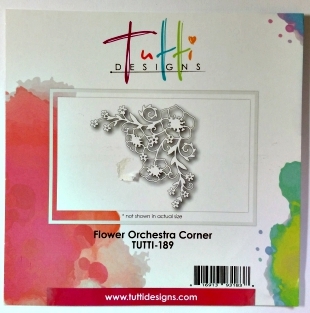 It was adhered to a Tutti Designs Stitched Square. A pretty Halloween bow/ribbon were added. 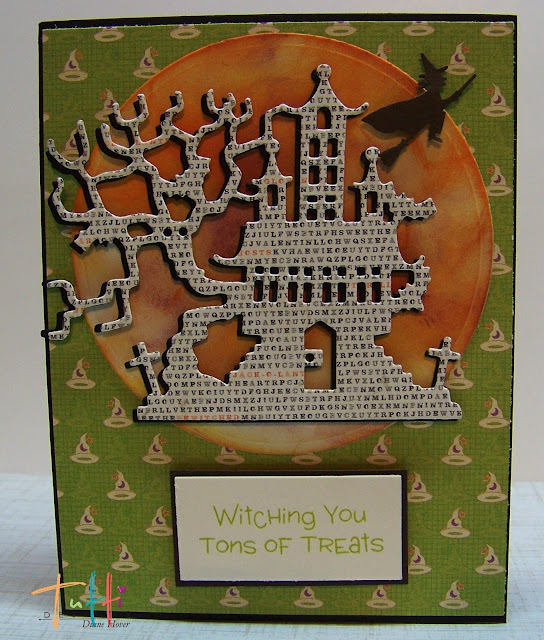 I thought it the perfect match for the spooky house I am sure she resides in! 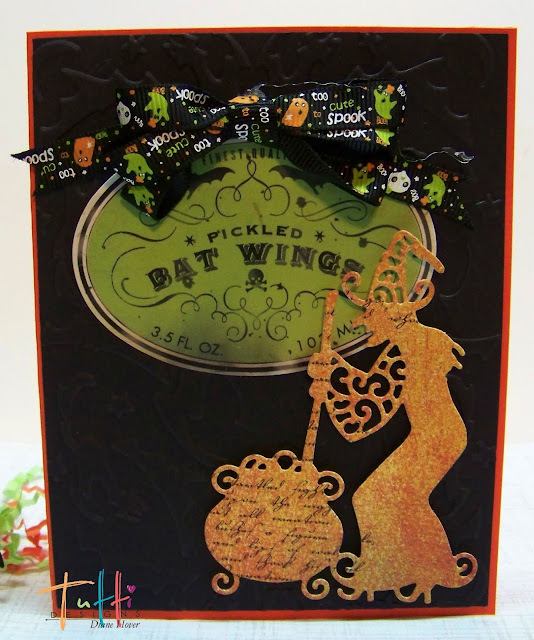 I am sure she is cooking up something to go with her pickled bat wings! I'll be back next Tuesday with some awesome Christmas cards..see ya!! God Rest Ye Merry Gentlemen . 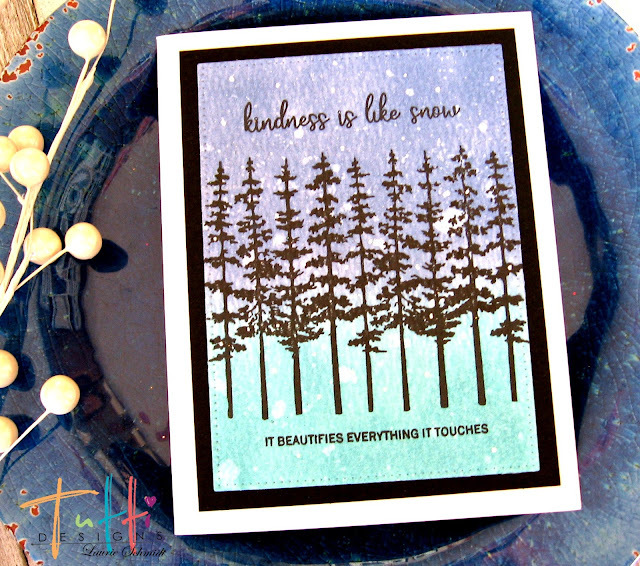 . .
using dies from the Tutti Designs Store. The weather here is Ohio has changed to Fall so quickly, I'm hoping that it doesn't turn to Winter quite so fast! But, we know it is coming and it won't be long before we are all sharing holiday joy. THAT is what I had on my mind when creating today. PLUS ... I've combined the Old with the New (I'm referring to the dies I've used!). 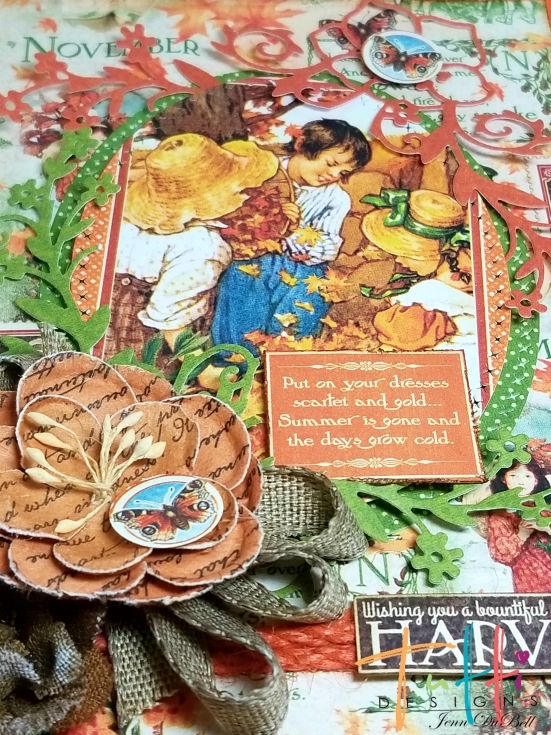 That is what I love about dies ... being able to combine them to create the scene that is in my head!! along with a newer die called 'Caroler Family'. I began by die cutting the fir branch from a scrap of white card stock then coloring just the branch using a Spectrum Noir alcohol marker. To add dimension to my Caroler Family, I've die cut twice from black card stock and glued the panels together. I also used dimensional tape on the back of my Caroler Family for even more dimension. 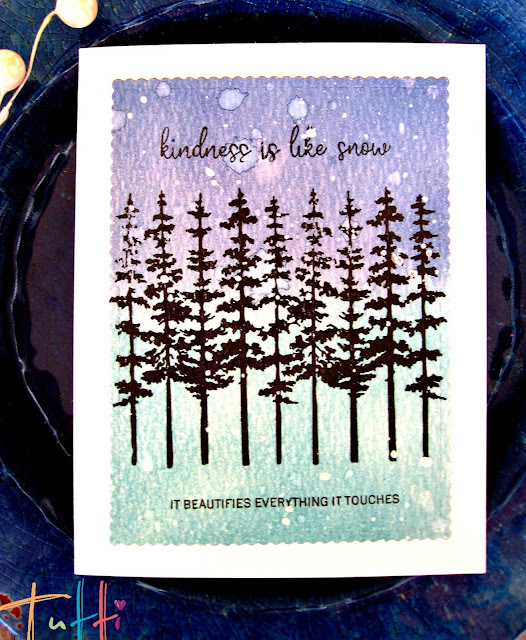 To create the 'background' for my winter's night Christmas Caroling, I've cut a panel if white card stock just a bit smaller than my card base and sponged the upper portion using Tim Holtz broken china ink and a large sponge dauber. I've also created a couple 'snow mounds' for the family to stand in front of by once again using some scraps of white card stock ... cutting them to width and then simply tearing them randomly across the top. Adhere all the pieces together and VIOLA! and check out all of the fabulous dies available. EVERY DAY MONDAY THROUGH FRIDAY! 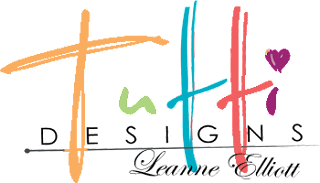 Pop in often and see for yourself ... what a talented group of designers!! Thanks for stopping in ... have a great week! 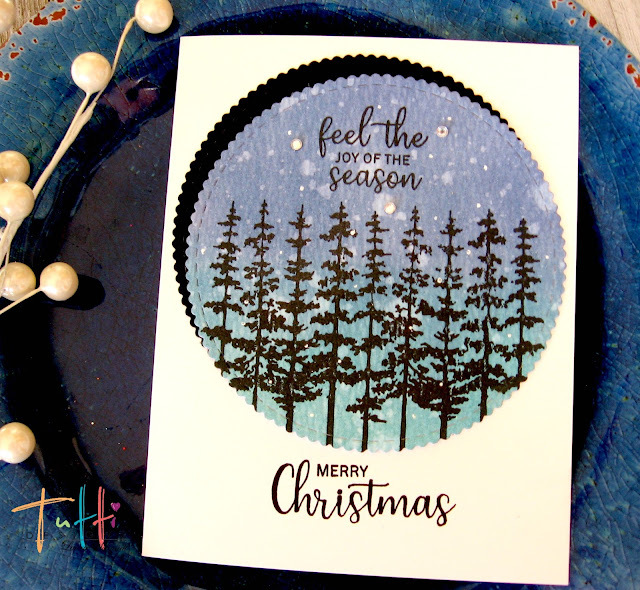 Hi everyone, Laurie here sharing a Christmas card set today using some of Tutti Designs basic shape dies. Then I sprinkled on some water and let them dry. 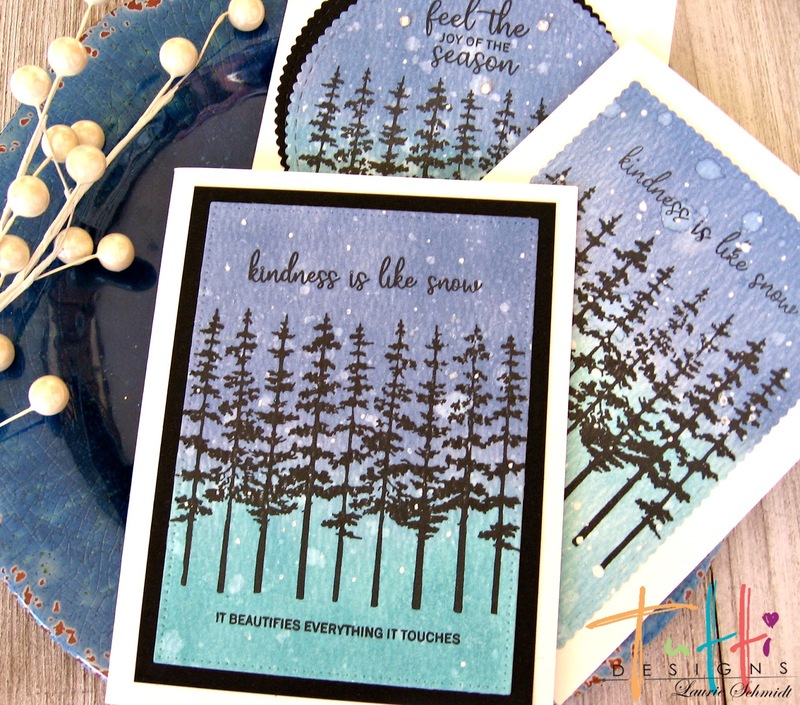 I stamped the trees and sentiments on in black, and cut them out with some Tutti basic shapes dies. First up is the Nesting Dotted Rectangles. And finally I used the Scalloped Stitched Nesting Rectangles. On each one I added some snow with my gel pen. Hello everyone! 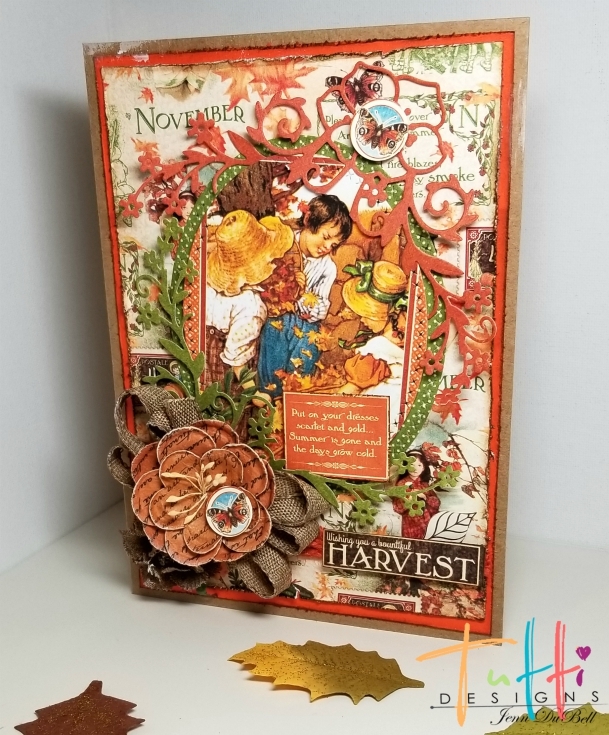 Jenn here today, sharing a fun Fall themed card I have titled Bountiful harvest Wishes. 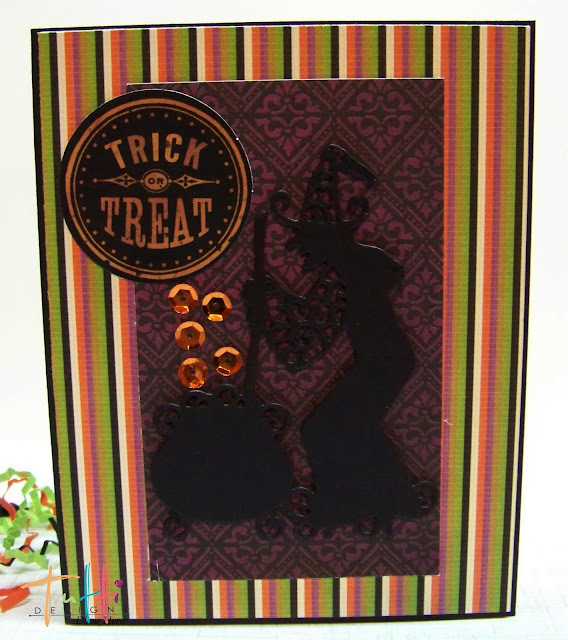 For this card I have paired some amazing Tutti Designs Dies with beautiful designer papers from Graphic 45. I started with a 5X7 Kraft card base. 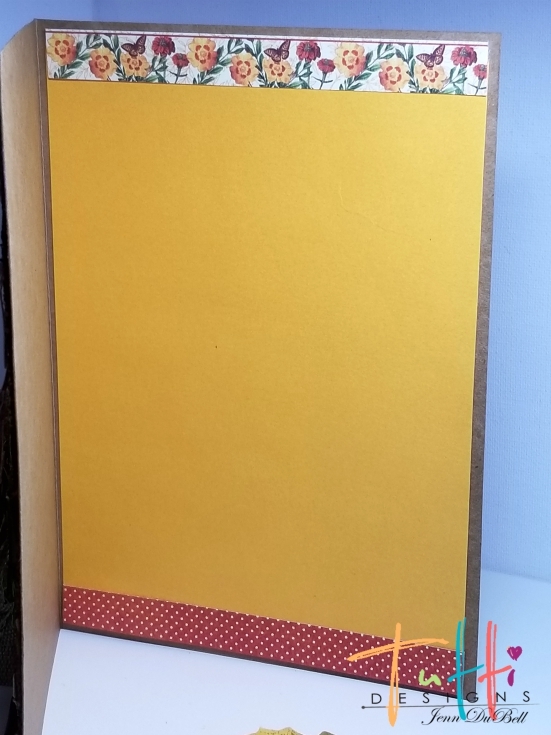 Cut a piece of coordinating cardstock such as the yellow used here to 4 3/4 X 6 3/4 and adhere to the inside. I added some strips to the top and bottom that were cut from the designer paper scraps. 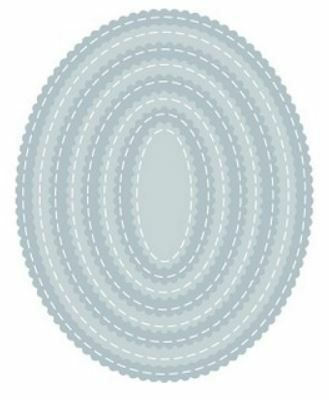 Use the two largest cross stitched nesting oval dies to cut one from designer and the second largest size to cut a photo cut away. These were layered using foam adhesive squares. 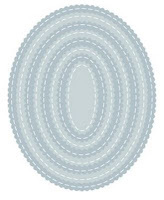 Cut a piece of coordinating cardstock such as the orange used here to 4 3/4 X 6 3/4. Rough up the edge and ink using a brown distress ink. Adhere to the front of the Kraft card base. 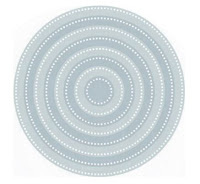 Cut a patterned piece from designer collection to 4 1/2 X 6 1/2, rough the edges and ink them the same way. 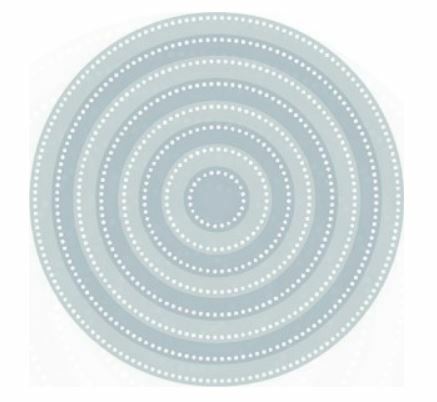 Adhere centered over the previous. Cut 2 of the Floral Orchestra Corners in 2 different coordinating colors. I also cut some butterflies and sentiments from the designer papers. Adhere as shown or in any composition you like. Add a bow and some flowers for an extra pop! 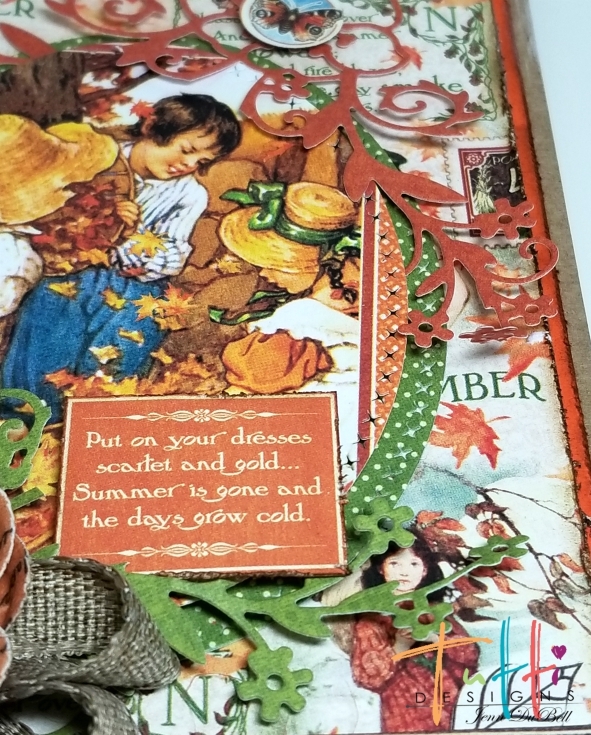 Just look at all the beautiful detail and texture achieved with these amazing dies!! 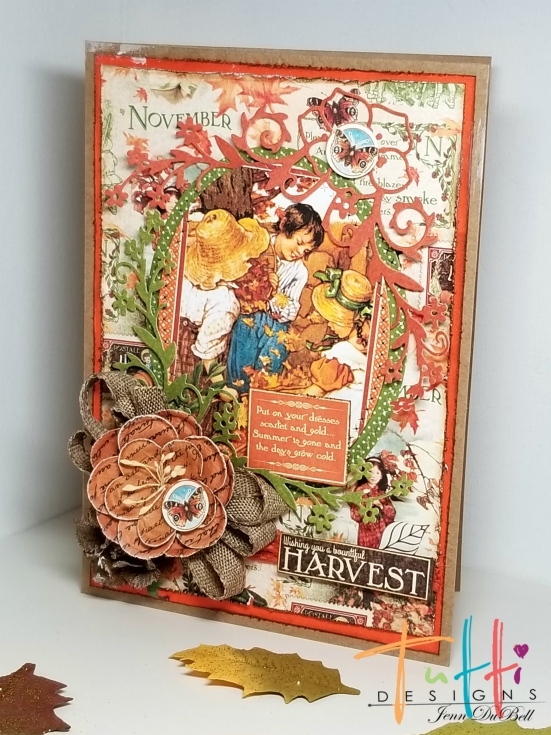 Thank You for visiting my post today!! I hope you are inspired to get out your tools and supplies and create!! Until Next Thursday, and always, stay crafty!! Thank you and welcome back. I am here to share my card with you.